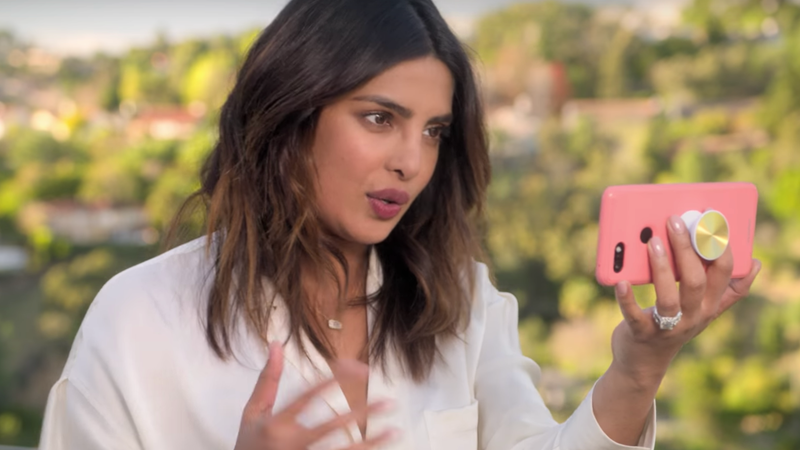 Priyanka Chopra isn’t new to the YouTube game—she has just over 1 million subscribers on her official channel and she posted her first video six years ago—but she’s never been a regular uploader. There’ve been a few music videos and behind the scenes clips here, some charity work there, but Chopra fully entered the content creator game on Wednesday, when her YouTube Original series If I Could Tell You Just One Thing premiered. And with that, she is officially my favorite YouTuber. She should do it all the time. In the half-hour debut, Chopra walks dogs in Venice Beach with gymnast Simone Biles, eats shaved ice cream in Los Angeles’s Koreatown with Awkwafina and tries on the very first wrap dress inside the home of Diane Von Furstenberg, all while inquiring about each woman’s individual success story. They talk about family, career, obstacles, and, as the title of the series suggests, they impart upon Chopra the best advice they’ve ever received. And guess what? It’s truly great guidance. Chopra isn’t particularly funny, but she is entertaining to watch, and she is certainly a great on-camera interviewer—keep this up and she should be looking at a talk show deal. I mean, it worked for YouTuber Lilly Singh, after all.